The term “content marketing” has graduated from a trendy term to a tried and true method of growing a business. 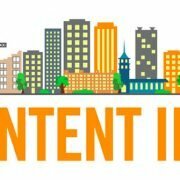 With the rise of content marketing has come the ability to look at what works and what doesn’t and develop a comprehensive strategy to help companies use content marketing more effectively than ever before. …Even if you still believe in Santa Claus, this gift doesn’t actually exist. The best path forward is to never quit learning. Failing is part of the process and sometimes the best way to learn. My purpose in writing this is to challenge the way you think about your marketing and encourage you to focus beyond your current array of products and services. Selling your wares profitably to other businesses is a basic definition of a B2B enterprise but unless you’ve cornered your market and have no competition, what you sell isn’t the best way to define and differentiate your brand. Many adventurous and curious B2B marketers embarked on the social media journey just a few years ago uncertain where the path would lead. Sharing content and amassing followers, fans, friends and connections evolved into a daily endeavor. Opinions and recommendations from trusted digital alliances created a wave of action. Followers paid attention to what these new friends had to say and acted on their advice, generating action, change, altered thinking. They built influence and personal power on the web. 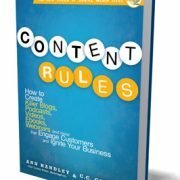 Content Rules is an impressive, fun-to-read, relentlessly upbeat manual about how to develop a content marketing strategy and construct interesting information for your intended readers utilizing a range of digital media. I pre-ordered this book in fall 2010 and have since applied some of its advice with raving success. Ann Handley and C.C. Chapman, chief content officers for Marketing Profs, emphasize that content is king online. But its hard to sustain an enduring schedule of interesting material. 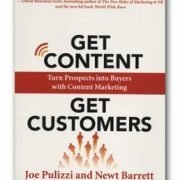 This book breaks down the steps and provides a navigable road map for attaining your content strategy goals. 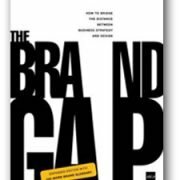 The Brand Gap is a good read and an excellent reference guide for all things “branding.” The style of the book is based on a presentation, using illustrations and diagrams to help you recognize the five disciplines of branding and learn to apply them to various situations. Think Outside the Inbox is a great reference for all things marketing automation, a subject about which there is so much information floating around right now that it tends to be overwhelming. 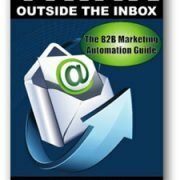 Thankfully, Adam Blitzer and David Cummings were able to take some of the most useful information (specifically regarding B2B) and round it up into one handy guide. With the ever-changing marketing landscape, B2B marketers should always be in a learning mode. There’s nothing like a good business book to help you uncover the latest tactics, research, commentary or discussion surrounding our chosen field. It’s important to stay current. 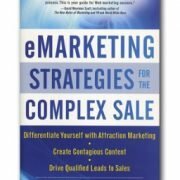 Here’s some marketing books that address current topics in B2B marketing. Whether I’ve read, reviewed, or want to read them, I find all these books interesting and containing actionable content. Ardath Albee has written a solid reference text of logical strategies that validate the value of intelligent content. 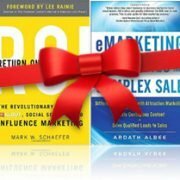 Through six different sections, Albee breaks down the concept of eMarketing and its strategic rewards for business-to-business (B2B) marketers. Content strategy is based on the premise that B2B buyers begin their decision-making process with online searches for prospective vendors. Marketing’s job is to assist sales by guiding prospects further along the buying process by producing more qualified buyers. With traditional media becoming less effective, 70 percent of prospective customers of B2B businesses review websites before calling. Businesses must rethink marketing programs from the bottom up to speak to these visitors. Get Content Get Customers is a step-by-step guide to making your business more visible to anyone who may be interested enough to search for your products or services in your bailiwick. 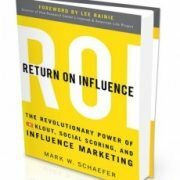 If you’re in B2B marketing, you probably have more than a few business books on your shelves that you’ve read, enjoyed and, perhaps, learned a thing or two. Then, you have other books that occupy a convenient, easy-to-reach spot on your desk and travel with you from home, to work, to lunch and back. The pages are so full of relevant information they are well-thumbed, highlighted, marked with Post-it notes and margin scribbles. 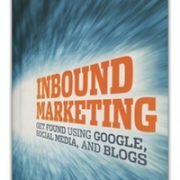 Inbound Marketing – Get Found Using Google, Social Media and Blogs is a resounding match for the latter category.